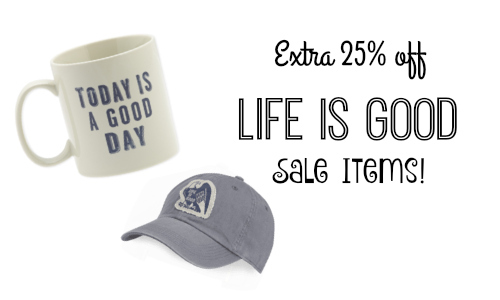 You can get an extra 20%-30% off your Life is Good purchase. 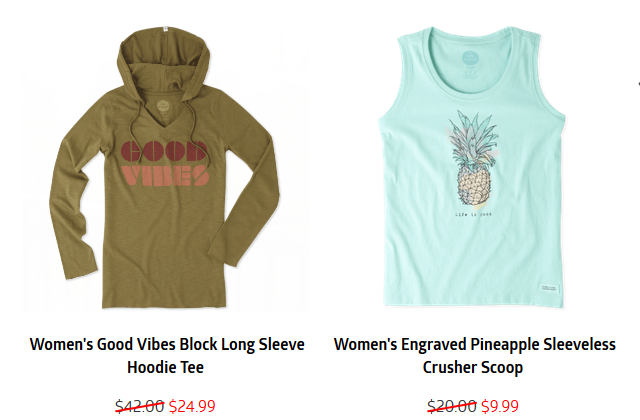 Use the Life is Good coupon code GIVELOVE to get 20% Off Orders $50+, 25% Off $75+, or 30% Off $100+ . The code expires 11/12. Shipping is free on orders $49+.